There may come a time when you will have to remove or replace the lower spray arm assembly in your Whirlpool dishwasher. The water pump is accessible underneath the spray arm. Although upon first glance it may seem molded to the bottom of the dishwasher, it is actually quite simple to remove. The average homeowner can remove the spray arm assembly with little difficulty. The lower spray are revolves around a center post at the bottom of the dishwasher. Turn off the electrical supply to the dishwasher at the circuit breaker box. Turn the water supply off as well. 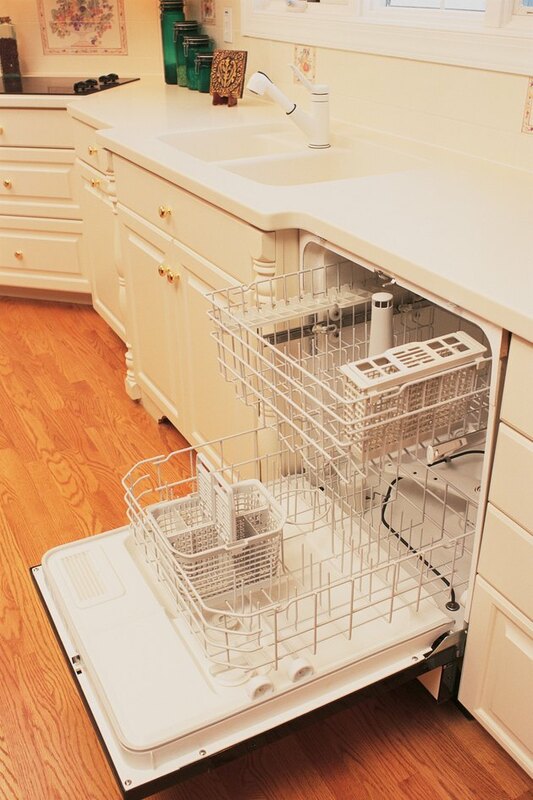 Open the door to your Whirlpool dishwasher and remove the bottom dish rack. The dish rack should just pull straight out from the dishwasher. Loosen the lower outlet nut at the base of the spray arm with a pipe wrench. Once it is loosened it can be unscrewed by hand. Now the complete spray arm assembly can be removed from the dishwasher. Remove the retaining screw from underneath the spray arm if the spray arm itself is to be replaced. Remove the split ring seal and the pump outlet nut from the assembly which allows the collapsible support assembly to be removed from the spray arm. Assemble the spray arm in reverse of the way you removed it.